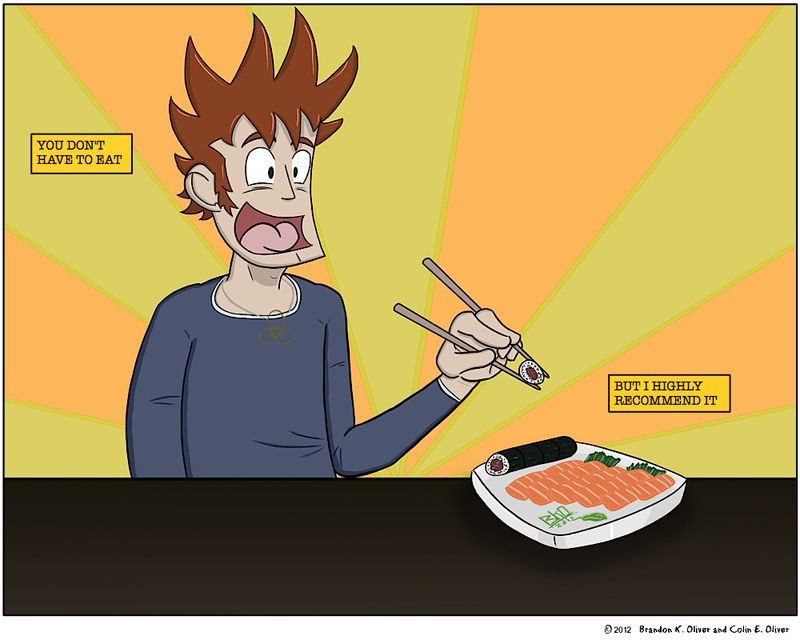 Now I want sushi… thanks… Jerks! There better be bacon in that cut roll. What else would make him that happy? They can eat anything they want with no health risks. That would be fun! I’m not proud of this but I will probably cooking that recipe sometime when I’m drunk. That recipe doesn’t look like sushi. Go ahead, eat the fugu, too! What have you got to lose?